Though the Google algorithm is in constant flux, and some online marketing techniques fade away, investing in relevant and modern SEO tactics will be the deciding factor of your company’s visibility online. Here are a few of the productive and effectual SEO tactics that you can apply to give your business an edge over its competitors. Long tail keywords are those three and four keyword phrases which are very, very specific to whatever you are selling. It is true that selecting the proper keywords will affect your search engine ranking. By choosing the most relevant and popular key phrases, you can bring in traffic to your site. But, this is tactic is a double-edged sword because you will be competing against bigger and older companies and will end up with minimal exposure. So, the best approach for building your online presence is through the use of long-tail keywords. Long-tail phrases help you to go after a niche market because you will be improving your ranking potential with less popular key phrases. This can be done by increasing the amount of quality content on your site. By using longer keywords, you are targeting a smaller audience, and this will get you into the top search results more quickly. Typically, there are two types of links that will bring value to your page – internal links and outbound links. 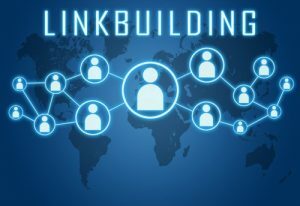 Outbound links link to other high-quality sources and sites whereas internal links connect between your various blogs, posts, and landing pages. Both of these tactics are useful in generating traffic, but they work in different manners. The outbound links add value to your site when you link to information sources with relevant content. This adds credibility to your site, and this will allow Google to raise your overall ranking. Internal linking, on the other hand, helps to link between your other relevant pages of your site to generate more traffic. By creating the text anchors, you can help improve the SEO ranking of your internal pages and also make it easy for Google to navigate your web pages to find the relevant content. Having high-quality content not only helps strengthen the site’s relevance for certain keywords but also helps to improve your online traffic. If your site has top-notch content that focuses on social matters and pertinent issues then more credible hub pages will link to yours. This, in turn, will build your client’s trust in you and improve the relationship with your customers. Trust is an important factor to consider when you are trying to improve your search results ranking. Trust breeds loyalty and this, in turn, signals an increase in the relevance of the business. Only by building trust with your clients can you hope to achieve better business. This is possible by allowing your viewers to provide content for your site as it builds a sense of community and at the same time provides the search engines with creative and unique content without having to spend a dime on the company’s side. This is an era of smartphone and other handheld devices and most people use these devices to look up for services. If your site is not optimized to work on the mobile phones, your ranking will suffer a major hit. With the increase in the use of cell phones and other devices, optimizing your website to work on handheld devices is a major factor that Google uses to rank the website on mobile searches. Thus, making all the elements of your site from the logo, to the color format to the content pages is a crucial step towards an effective SEO plan. For a business, it is essential to appear before their relevant audience. And this is done through improving the company’s local presence. Businesses such as photographers rely on local customers, and thus their SEO plan should include local citations and listings. By keeping a consistent NAP (name, address, and phone number) across the various pages, and providing accurate information, you can improve your local ranking potential. Interactive videos, pictures of your company and products, original reviews from customers, along with high-quality content will bolster your chances of ranking in the top position and gaining more prospects. In order to compete with other similar websites and increase your online visibility, you must be prepared to work hard on your SEO strategy. When wielded properly, search engine optimization becomes a powerful marketing tool that will augment your overall marketing strategy. Though trends come and go and techniques fade out of relevance, these tactics will help you overtake your competitors and be the front runner in your market.